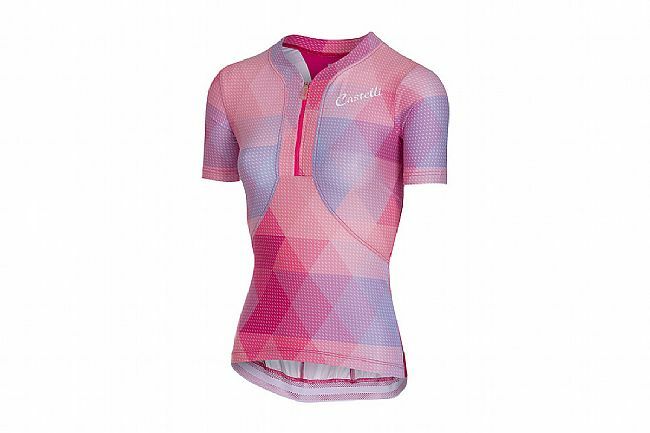 The Women’s Alba Jersey from Castelli is super lightweight, short sleeve jersey made from Invita Light stretch fabric with cooling mesh inserts on the neck and sides of the torso. 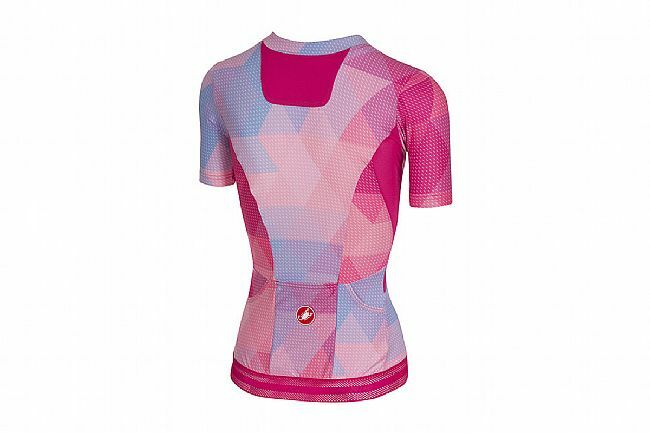 Three rear pockets offer plentiful, easy storage for training essentials lke nutrition, cash, etc. The half-length front zipper offers additional ventilation while the sculpted neckline and perforated elastic waist ensure maximum comfort and a bunch-free fit.